Sail your way along the Dalmatian and Montenegro coast for long days of relaxing on a yacht deck, followed by exciting evenings filled with Croatian nightlife. Sit back and relax as you experience an array of local tastes, sights, and sounds you won’t soon forget. Make stops at sunny beaches and charming coastal villages, where you’ll snorkel, swim, and lounge your way through this Old World region. And don’t forget your camera – the mix of ancient medieval castles, picturesque shorelines, and beautiful Balkan landscapes make for a trip you won’t ever want to forget. Arrive in time for a 4pm welcome meeting and safety briefing. Spend the night in Croatian waters. 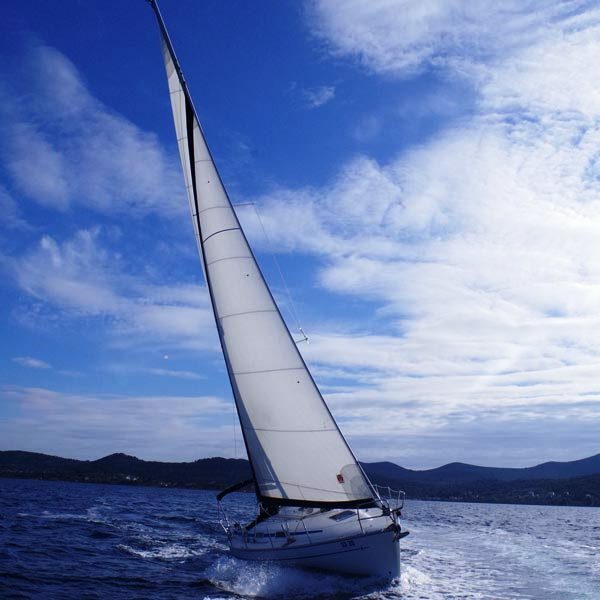 Sail to the Budva Riviera. Explore some of the most beautiful beaches in the are, nestled beneath the cliffs of Spas Hill. Well-known as the regional capital of nightlife, there no shortage of clubs along the seaside promenade. Continue sailing to the ancient Mediterranean port of Kotor. Part of a World Heritage Site, enjoy the limestone cliffs overhanging this submerged river canyon. Free morning to explore Dubrovnik. Enjoy a nightcap with new crew mates on the boat and get to know fellow passengers. Depart after breakfast. If you would like extra time in Split after the sailing journey is finished, we can help you in booking extra time in Split. This trip also runs in reverse from Split to Dubrovnik. There is surely no better way to see and experience croatian coast and islands than by boat. Our Croatia sailing tours let you enjoy some of the world's most beautiful islands and beaches, with numerous opportunities for swimming, relaxing and having fun, as well as active and exciting land activities like hiking, kayaking, snorkeling and guided tours on Croatia's best island destinations. Croatia Island hopping on famous islands like Hvar, Brač and Vis is one the best and most fun ways to see this part of Croatia. Sail through these islands and have an opportunity to see the hidden beaches, secret coves and bays, taste authentic cuisine, see breathtaking scenery and have a great active adriatic holiday. 4 twin/double bed cabins, 3 bathrooms, 2 showers (14 nts). Allow 450-650 EUR for meals not included. Basic items on board will be covered by a food kitty of about 150 EUR per person.